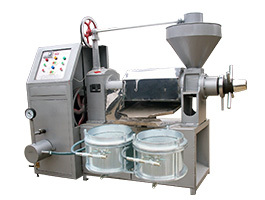 Automatic Oil Press - An Ideal Choice for Making Peanut, Rapeseed, Soybean and Cottonseed Oil! YZS-70 automatic oil press is one of the most advanced oil processing equipment in today's oil making market. This series integrated atomatic oil expellers are features of simple structure, small size, light weight, and is easy to operate; oil extraction and oil filtering can be successfully, automatically and continuously operated with only one person, and produce high quality oil. Only one person can easily exchange, installation and maintenance of the wearing parts. 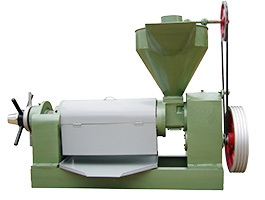 The automatic oil press can be used to process various vegteable plant, such as groundnut / peanut, rapeseeds, soybeans, sesame and the like. Equipped with diesel engine power, the machine can move freely, squeezing and selling oil crops at any place, there for it is much more suitable for mobile operation, especially in vegetable markets, supermarkets, in the doorways of the resident sections, country fair and so on. The YZS-70 automatic oil press belongs to cold oil press, oil bearing materials do not need cooking process, can be directly put into the machine to start pressing under the condition of the machine body has already pre heated. 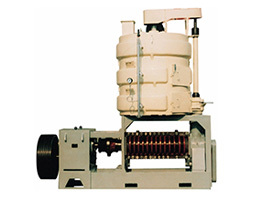 The machine consists of the case, gearbox, pressing shaft, oil filter, electrical cabinets and other components. The case consists of the main box, one-way wheel, caster /universal wheel, etc. The function is moving and fixing other components. The gear box consists of transmission gear, drive shaft pulley, etc. The pressing shaft assembly consists of pressing shaft, adjusting screw, single direction thrust ball bearing, locknut, adjusting hand wheel and other components. The machine body consists of press row, cake mouth, hoppers and other components. The filter oil components mainly consists of vacuum pump, air manifold, air filter bags, glass containers and manual valve. The electronic cabinet consists of thermometer, voltmeter, control button and air switch. Oil crops should be thoroughly dried, cleansed, cleansed to the sludge, sand or other hard metals and other impurities before pressing to prevent the damage to the parts. 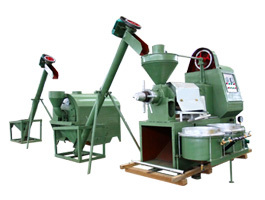 This is an cold oil press and oil crops are being extracted by twice pressing method. 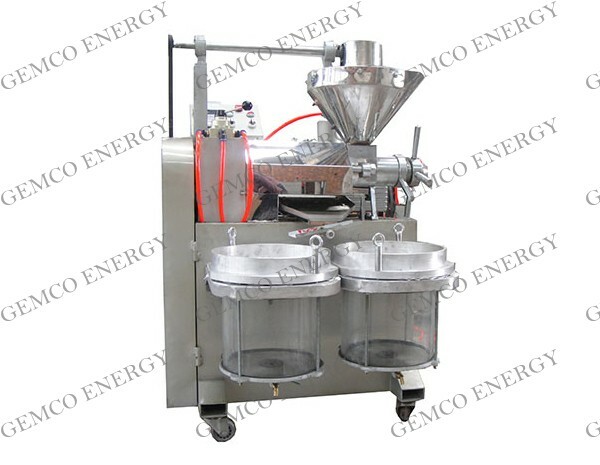 Put prepared oil seeds into the machine when its already preheated, The temperature between 100℃ to 140℃ will be the ideal temperature for pressing. Every time before pressing, the machine must be preheated. 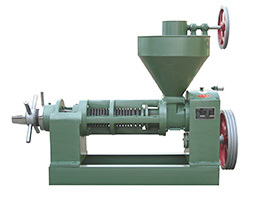 The general oil making process includes cleaning, crushing and pressing.